Welcome to another installment of If My Book, the Monkeybicycle feature in which authors shed light on their recently released books by comparing them to weird things. 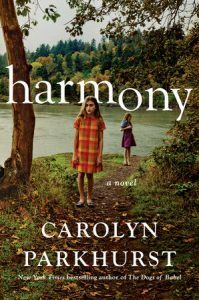 This week Carolyn Parkhurst writes about her latest novel, Harmony, just published by Pamela Dorman Books/Viking. If Harmony were a Beatles song, it would be “You’ve Got To Hide Your Love Away.” It may be from Help, which is nobody’s favorite Beatles album (or film), and Paul McCartney may be willing to dismiss it as “Just basically John doing Dylan,” but it’s a surprise of a song, folky and acoustic, full of conflicted yearning. It’s not at all what you were expecting, but it gets stuck in your head anyway. If Harmony were a scented candle, it would smell like pine, and you’d wonder how it’s possible for something to evoke both summer and Christmastime at once. If Harmony were a figure from your childhood, it would be your third grade teacher. I hope you had a good year that year. If Harmony were a vacation souvenir, it would be a snow globe. Really, it would; I’m not just saying that because everyone wants their novel to be a snow globe. If Harmony were a succulent plant, it would be aloe vera. Not a cactus but still prickly on the outside, and its growth pattern is sprawling, a little bit messy. But break open a blade, and there’s balm inside, cool and soothing, spreading comfort over all your tiny wounds. If Harmony were a pencil-and-paper pastime, it sure as hell wouldn’t be sudoku, so you don’t need to worry about that. 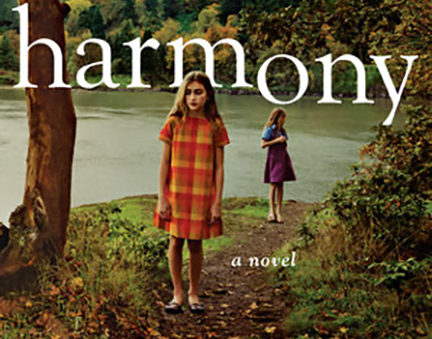 If Harmony were a 1980s country-pop crossover duet, it would be “Islands In The Stream.” Why? It’s just obvious. I guess you’ll have to read it and see. Carolyn Parkhurst is the New York Times bestselling author of the novels The Dogs of Babel, Lost and Found and The Nobodies Album. She lives in Washington, DC with her husband and two children. Find out more at carolynparkhurst.com, or follow her on Twitter at @cparkhurst1.